Apple unveiled a new iMac. Especially with a Retina display 5K, it's also the most expensive iMac. Apple has introduced several new products this October 16. After the iPhone 6 and iPhone 6 Plus received great commercial success, it was the turn of the tablets iPad 2 and iPad Mini Air 3 to be launched. As for computers, Apple introduced its new iMac. This model is distinguished mainly by its screen. 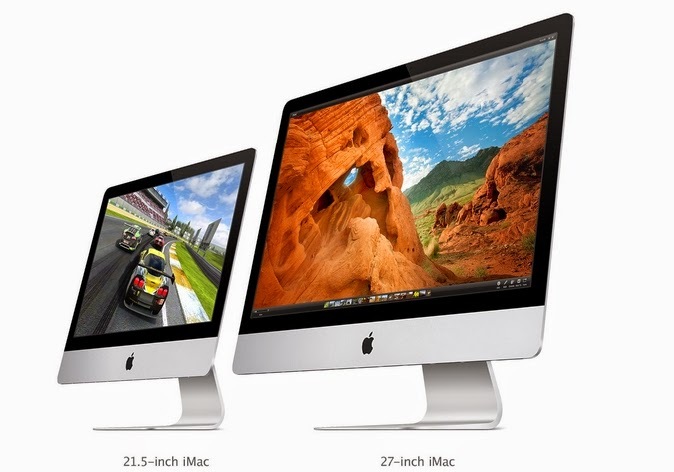 Indeed, the iMac has a 27-inch screen with Retina technology 5K 5120 x 2880 pixels, 14.7 megapixels. Compared to a standard screen offering, according to Apple, "four times more pixels" while consuming 30% less energy. Also, the camera has a choice of a quad-core processor Intel Core i5 clocked at 3.5 GHz (with Turbo Boost up to 3.9 GHz) processor or a quad core Intel Core i7 running at up to 4 GHz and Turbo Boost up to 4.4 GHz. It is associated with an AMD Radeon GPU R9 M290X (with 2GB of GDDR5 memory) or an AMD Radeon GPU R9 M295X (4GB of GDDR5 memory). In addition, the RAM is 8, 16 or 32GB of storage space and can be in Fusion Drive, 1 or 3 TB, and flash storage, 256 GB, 512 GB or 1 TB. Regarding connectivity, the iMac Retina provides, inter alia, 4 USB 3 ports and 2 ports Thunderbolt 2 , and is Wi-Fi and Bluetooth 4.0 compliant. Dimensions of 51.6 x 65 cm and weighs 9.54 kg, Apple has improved the display and components while maintaining the thickness of 5 mm. However, this has affected prices. Indeed, the Retina iMac is now available from 2,599 dollars and up to 4, 578 dollars with the highest performing components.